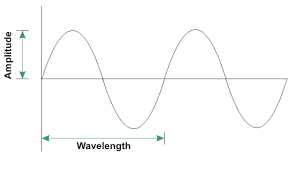 periodic signal are sine wave, cosine wave, square wave etc. 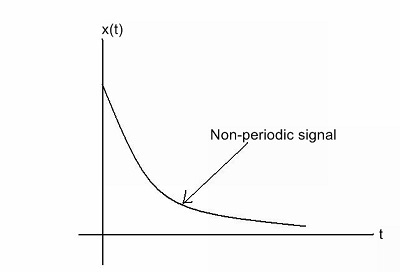 A CT signal which does not repeat itself after a fixed time period or does not repeat at all is called as a non periodic signal. Sometimes it is said that an aperiodic signal has a periodic T0 = ∞. Figure shows a decaying exponential signal. This exponential signal is non periodic but it is deteministic because we can mathematically express it as x(t) = e-ɖt.